Sheryl Sandberg is the Chief Operating Officer of Facebook, one of the world's most powerful women according to Forbes, and the bestselling author of Lean In: Women, Work, and the Will to Lead. Back in 2010, she gave a Ted Talk which went viral. I rewatched the video recently and in it, she explained why we have too few women leaders and it was, and still is, illuminating. Both in the talk and in her book, she points out that we’re failing to encourage women to aspire to leadership. Women ourselves already face our own obstacles such as self-doubt and inhibition but a lack of support further aggravates the problem. She talks about balancing work and family life, how much potential women have, and how if you're lucky enough to have rare opportunities, you shouldn't take it for granted. For so long women have battled gender biases, stereotypes, and inequality from all angles. In fact, in 2003, the famous Heidi/Howard study shows that success and likability are positively correlated for men and negatively correlated for women. This means people tend to like or approve of a man who is ambitious but it's not the same case when she's a woman. Men will more readily take credit for their accomplishments while women will be hesitant to do so. Working women are less likely to negotiate their salaries or contracts compared to men. When a woman shows leadership qualities, she is often called "bossy" whereas this is somewhat already expected from men. While many critics continue to scrutinize Sandberg, her book, and her organization, I believe this book is still worth reading because it succeeded in at least one major aspect: it reignited the conversation. Here are my 3 Takeaways. Sandberg envisions a world wherein women run half of the companies and countries and men run half the homes. Why? Because according to her, more women in power means equal representation and fair treatment. As a simple example, years back when Sandberg was pregnant while working at Google, it occurred to her that it would benefit pregnant employees to have reserved parking spots closer to the entrance. Since she was a woman in a position of power, she relayed this information to her boss, Google founder Sergey Brin, and they were able to immediately make it happen. Now imagine changes even as small as this being applied to all areas not just in business but in legislature, media, and other industries. She says, "Conditions for all women will improve when there are more women in leadership roles giving strong and powerful voice to their needs and concerns." Sandberg shares several research studies and statistics throughout the book but some of the most startling ones are these. Only approximately 5% of Fortune 500 CEOs are women. Less than 20 of the countries' leaders are women. And women are still compensated less than their male counterparts. Lean In aims to inspire women to reach higher and believe in themselves, to say the least. And one of the good things about the book is that Sandberg gives practical examples of how we could do just that along with some mistakes we could avoid. One particular advice she gives is to sit at the table. Years ago in Facebook, they hosted a government official who was meeting with the company's top execs. Along with the guest were two women whom Sandberg invited to sit at the table with them but instead of doing so, they refused and chose to sit at the sidelines. Another suggestion Sandberg makes is to not leave before you leave. Here, she explains how some women plan their departure from the workplace way ahead of the time they actually need to make that decision. And so, years before they have children or even get married, they would say "no" to opportunities, promotions, or new challenges. In other words, they lean back during times they should actually lean in. On top of dealing with stereotypes and gender biases in the workplace, Sandberg acknowledges that women are oftentimes expected to take charge at home as well. And so in this scenario, she advises women to make their partner a real partner. This means communicating with them about sharing the responsibilities of both housework and childcare. Aside from these, she encourages women to take risks, own up to your own success, say yes to more opportunities, avoid self-sabotaging yourself, and my personal favorite, ask yourself what would you do if you weren't afraid... and then go do it. 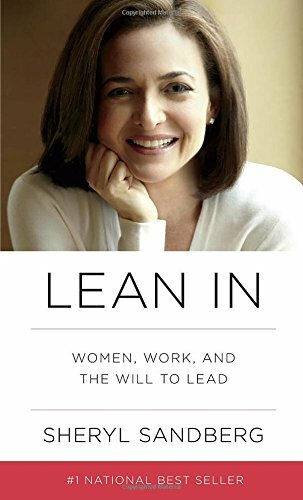 As an example in herself, Sandberg started the Lean In Organization in 2013 and as of 2017, said that it has around 33,000 Circles (aka support groups) with at least 1.5 million members in over 160 countries. In one of the last chapters of Lean In, Sandberg explains how her Ted Talk, her book, and her efforts are all, in a way, an invitation to start the conversation. She says that in order to address the problems, we need "to be able to talk about gender without people thinking we were crying for help, asking for special treatment, or about to sue." Take note that this book was published in 2013 and five years later, we still need to keep talking. We still have a long way towards true equality and representation, and this is a goal in which both men and women need to take part in achieving. Even today, only a small percentage of company and country leaders are women, there's still a significant gender pay gap (approx. $0.77 for every dollar a man makes), and only recently did several women speak up about sexual assault in media, business, and politics (read: Time's Up and #metoo). Indeed, so many tasks mentioned in this book must be done with care. Whether it's negotiating, taking risks, sitting at the table, getting a mentor, asking your partner to be a real partner, asking for feedback, or even speaking up about gender issues and inequality, what the book points out though is that it must be done. Share in the comments below: What did you find most useful from this article/book? How are you planning to "lean in" in your own life?